lullaby for ju: I miss you, my love. I wanted to tell you what I'm feeling. I could lie to myself, more true. I wanted to be with you now, be with you tomorrow, be with you always. On his side, with you, I could someday hear from you an "I love you" or a simple "Hi." I wish you both know that I exist and that what I feel for you, it is not anything. I lived so long believing that any person in the world could turn me in today, you, I turned. A person with a higher than the astral world, with many dreams and goals to follow and accomplish. And you are everything I want now, I know it is a Utopia, I know that this is unlikely and impossible, plus I still have hope that one day, I still I see you. You are like a chain that holds me to you. Honestly, I do not know how this love began, more I'm sure that now he has no end. What I feel is real! I found that my lack of air, is missing from you. I get the whole day thinking of you, I dreamed the whole night with you and you wonder in my hand, imagining you with me now and for ever. I wonder how I would be the happiest person in the world if you were by my side. I can not stand to think more I just can not see you die without at least touching you, in your hand in his face. Yeah, you is my Utopia, you are my air, you are my everything! I love you like nobody ever loved, the love that grew with me will never die! 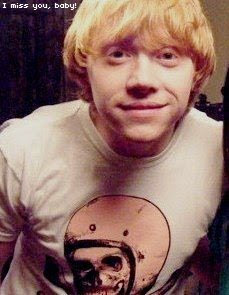 Rupert Alexander Lloyd Grint!